After studying neurobiology at UC Berkeley, he went on to complete the Advanced Yoga and Ayurveda Program at the American Institute of Vedic Studies with Dr. David Frawley. He is registered as E-RYT and is available to assisted in teacher training modules especially on the subject of Yoga Tradition/History, Philosophy, Ayurvedic Yoga, Tantra, Kriya Yoga and Senior Yoga. 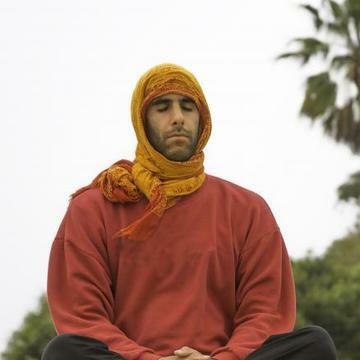 He is proud to be a part of the Southern California yoga movement and leads yoga on the beach, Laughter Yoga and Kirtan at Festivals and local studios. In his free time, Ram Bhakt enjoys playing the piano and practicing the ancient Chinese meditative practice of qigong.